Hermosa Beach Summer Sidewalk Sale Starts Now! 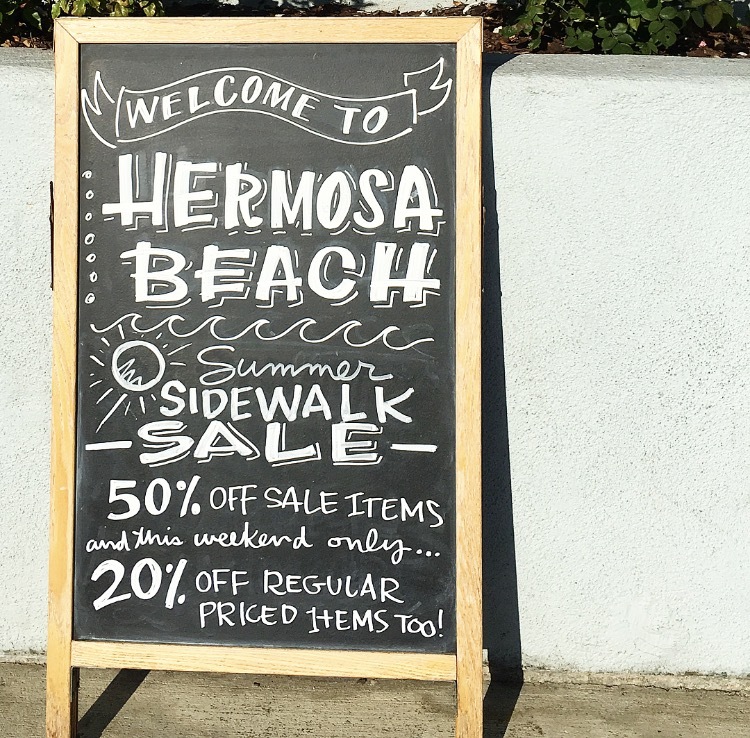 Today’s the day…the Hermosa Beach Summer Sidewalk Sale Starts Now! Sale Items are now 50-70% OFF. Take 20% off all Regular Priced items at Gum Tree and Gum Tree Kids! We’ll be serving up complimentary mini muffins while you shop, and if you buy anything in our shops take your receipt over to the cafe for a Free Iced Tea or Lemonade! Live Music in front of Java Man on Saturday and Sunday, and a scavenger hunt too. Come down and Shop Local at all your Hermosa Favorites. And Sunday at 5:30 south of the HB Pier it’s the first show of the Summer Concert Series! Come down for Robert Randolf and the Family Band. Don’t miss out on all the fun in the sun this weekend in Hermosa. Hope to see you all there.